Earlier this year we promised we’d publish regular updates on what new features we added to Intercom, so here’s the latest installment. In the past few weeks we’ve made it possible for you to send more contextual in-app messages with Platform Targeting. 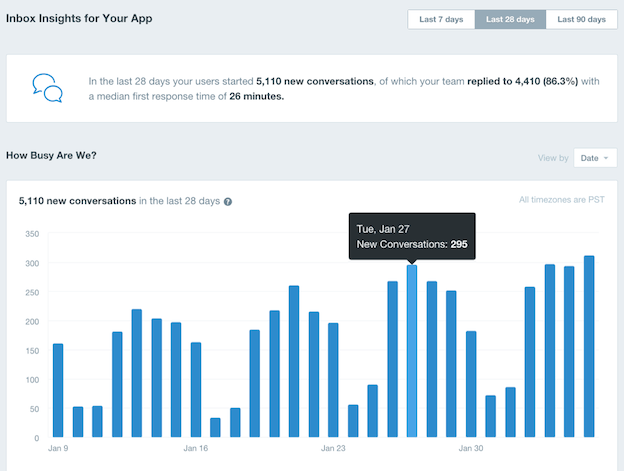 We also released Inbox Insights to help you understand your support team’s performance, workload, and more. 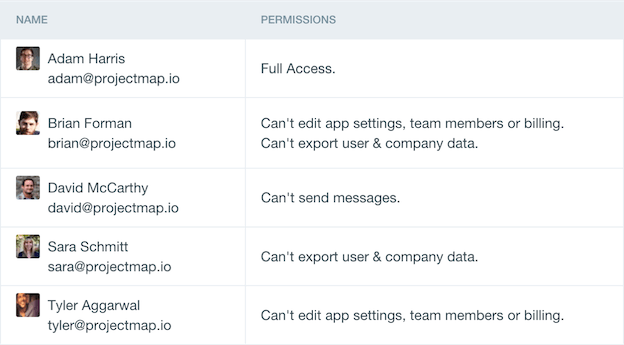 To top things off, we introduced permissions, and several other features to help you work more effectively with your team in Intercom. 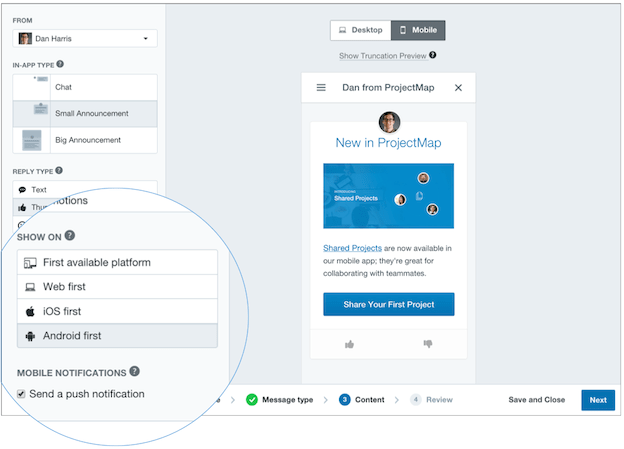 If you use Intercom to communicate with users of your web and mobile apps, you can now ensure your message has the right context by choosing which platform your message appears on first. So you can avoid delivering a message about your iOS app to your web app, and vice-versa. If your message doesn’t relate to a specific platform, you can choose to deliver your message the next place a user is seen. Think of the last time you got a push notification on your phone. Whether a text from a friend, your mom, or a notification your town is under siege, you pulled your phone out, glanced down and read the message. 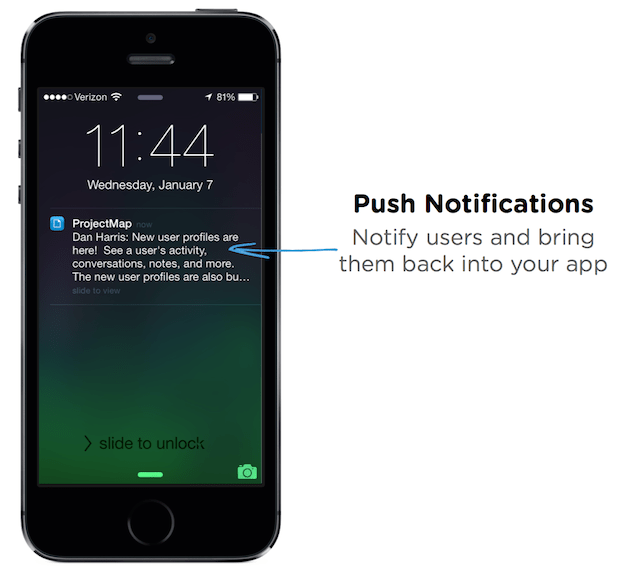 Push notifications are incredibly engaging but low-interruption, and now we allow you automatically send users of your iOS app a push notification when sending them a message. Quantifying the efforts of your support team lets you know when you need extra coverage, when to hire additional team members, and more. With Inbox Insights, Intercom can show you how busy your support team is, when they’re busiest, and who the busiest members are. 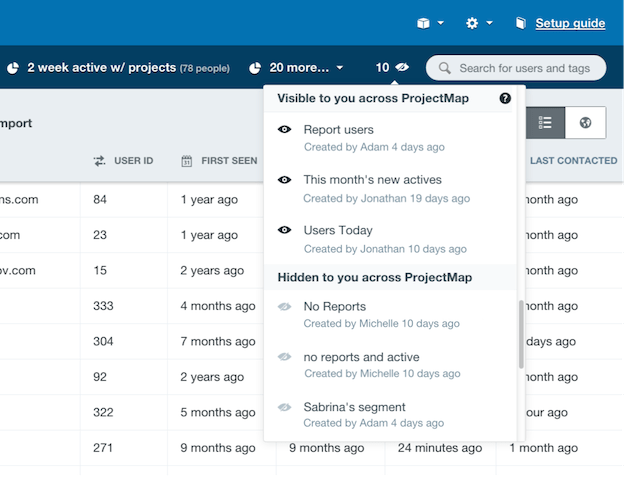 You can also see your median response time by day or hour to identify areas for improvement. Ever found yourself in this situation? Dale from Finance personally messages a company for their overdue payments. But he’s not the best at communicating with customers, so you might want to put some tape over his mouth. Well, we’re not condoning this (or providing the tape), but now you can restrict him from using Intercom to talk to your customers. 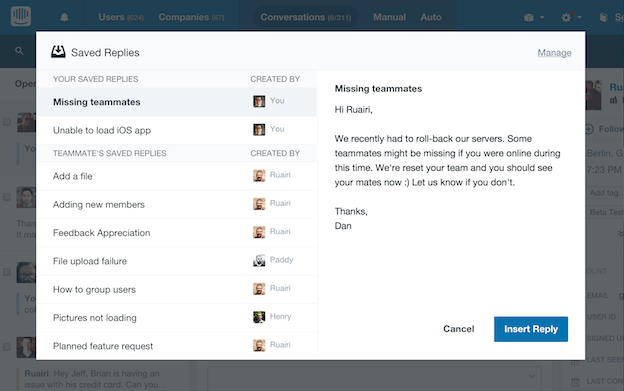 Saved Replies help you quickly respond to frequently asked questions. But as your team grows and you have more saved replies, finding the right one can be difficult. The Saved Replies modal now shows the author of each saved reply and groups your replies at the top of the list for quick access. Now, you’ll be able to respond to that request for a Windows Phone app in the blink of an eye. Tags and Segments group users and companies based on certain behaviors. Tags are applied to users manually, while Segments are live groups of users that match specified criteria. Unfortunately, things can get a little messy when everyone on your team has three or four of each, so we made it possible to set your own visibility preferences for specific tags and segments. This allows you to focus on what you need and hide what you don’t. Similar to tags and segments, events can become numerous fast, and some become redundant over time. You can now now archive those events that are no longer relevant. And that’s it. We look forward to sharing further updates on our progress with you throughout 2015. If you have any feedback on Intercom, or features you would like to see, feel free to send them to team@intercom.com, comment below, or send us a message via the In-App Messenger in Intercom.